Although I didn’t get to see a lot of movies in the theatre, I did manage to see enough to know that 2010 was a great year for cinema. From animation to documentary there have been some solid additions to the world’s cinematic library. Today I’m going to focus on dramatic features based on my reader’s suggestions. I’m itching to do a documentary one, so feel free to send me your ideas for best edited docs of 2010 to nhirten@artoftheguillotine.com! The bulk of this film is edited in the more classic sense of the craft, and is peppered with moments that are less classical to break it up—which works perfectly considering what the movie is about. The one scene that really stood out to me as particularly fun to watch (solely because of the editing) was the boat race. The pace and montage was not only beautiful and creative, but really showed a lot about the characters participating. To be honest I’d never even heard of this film until someone mentioned it to me specifically for the blog. Overall, the pacing and take choices helped to make us feel just as frustrated and alone as the main character must’ve felt throughout. 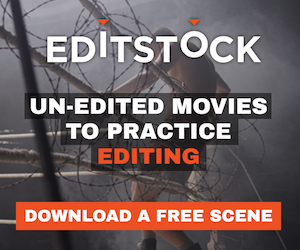 The editing is simple, but pulls us along and makes us want to keep watching. Here we have a great example of more classic-style editing, telling us the story in a straightforward way that we expect from a western. But there’s something more to it that isn’t obvious upon simply looking at it, and it makes us feel like we are within a memory. This helps us to immerse ourselves in the film and empathize with a main character who is, on the surface at least, rather unlikable. I can only imagine how much fun this film would’ve been to edit. Translating a dream into film is something that I think a lot of filmmakers try to achieve, but never have I seen it done so intelligently through editing. Although the concepts are confusing, the viewer never feels like it’s over his/her head because they are illustrated so beautifully— intercutting each "level" of dream. I was blown away by the editing in this film (and Natalie Portman’s acting). Although I feel like I figured it out halfway through (I won’t spoil it for you), I never felt like it got boring or predicable in a bad way. In fact, I kept watching simply because it was so beautiful to look at—and the beauty of the images was mirrored superbly by brilliant pacing, visual montage, and story immersion. As an interesting note, it was conveniently blocked by FOX just as the internet is on blackout strike today in solidarity against SOPA. American friends, please be aware that if SOPA passes, videos like this where I attempt to teach about film editing in a fun way will not be available anymore, even if I am in compliance with the Fair Use clause— in fact, I could be shut down, fined, and/or jailed without due process. If you like the internet and the ability to find information freely and easily, please educate yourself about this bill, and do whatever you can to stop it from passing! First EDL of the new year up! Marx brothers, see? nyaah! Have a video version of my very first Christmas blog, the best edited Moments of Despair in a Christmas film! Check out this week's EDL, featuring the top 5 edited scenes with steam engines! Top 5 Edited Dinosaur Attack Scenes! I know I've covered this one in the past, but with the new video format I feel like I can really do some of previous written blogs justice. This one especially! Top five scenes in a Mad Max film! In Vlog number 2 of the Edit Decision List, I look at the best edited scenes in a Mad Max Movie, as well as manage to completely butcher an Australian accent. My very first vlog covers the top 5 scenes in a Die Hard movie! Metropolis is one of the most influential science fiction films of all time, and it's obvious that the editing has a lot to do with it. The expressive nature of the acting is superbly juxtaposed with epically framed shots in such a way that story isn't only easy to follow, but really fun to watch!